Trees are for climbing ...Swings are for flying ...And puddles are definitely for jumping! This beautifully illustrated book follows two little girls as they accompany their mother to the park, shops and then back home again. During each step of the way, the girls have a great time swinging, skipping, climbing, twirling and much much more. 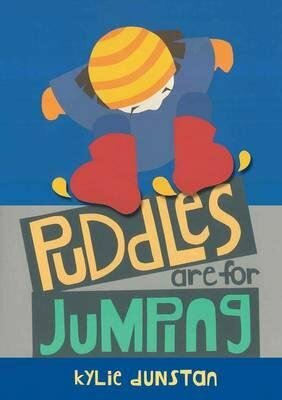 Puddles are for Jumping has very simple and repetitive text, making it a great book for promoting young children’s language learning. The book is written in present tense and includes multiple models of the copula ‘are’. The various action words are beautifully depicted in the pictures, making these verbs more concrete and easy to understand. There are a couple of wordless pages which allow for discussion, predictions and inferences - a great opportunity to follow the child’s lead in talking about the pictures.